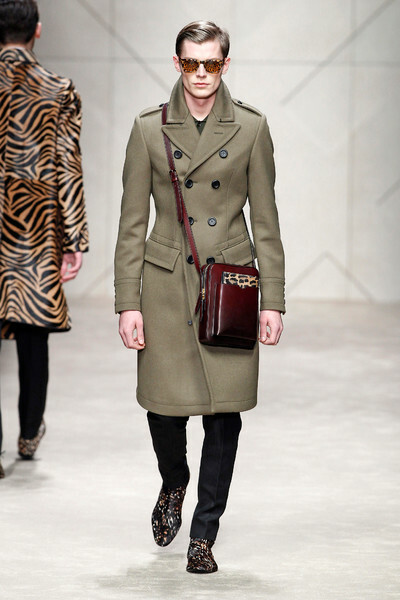 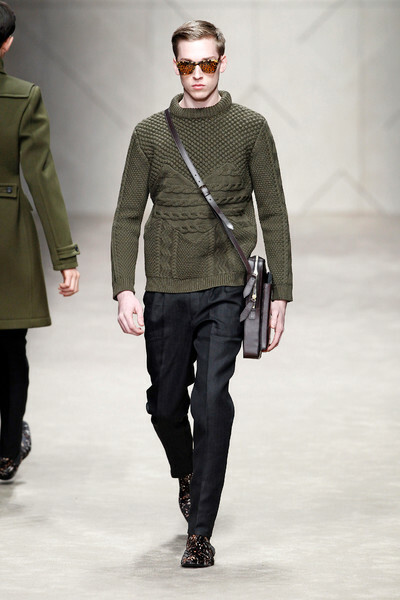 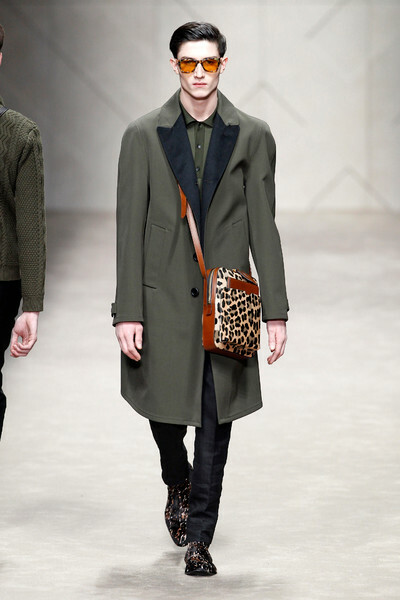 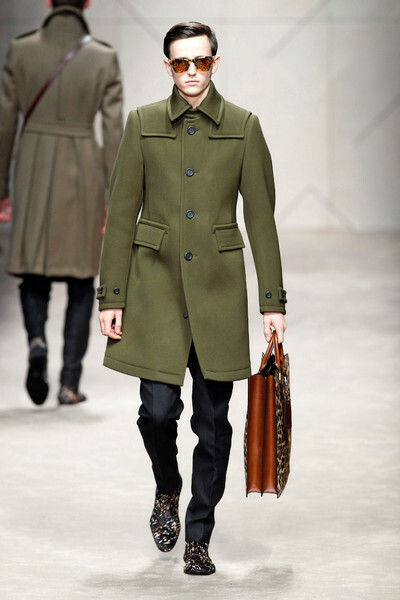 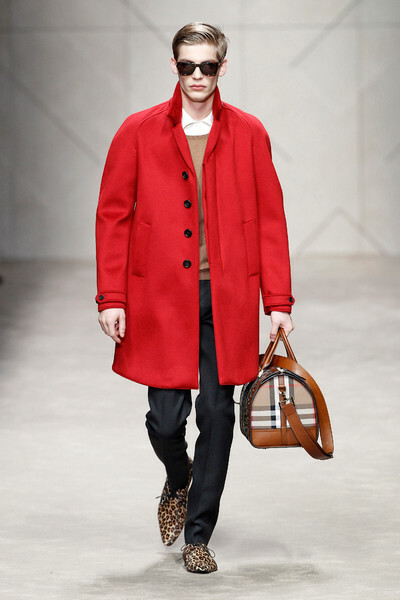 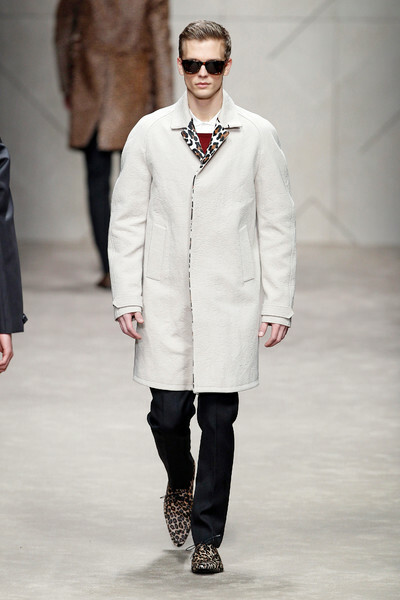 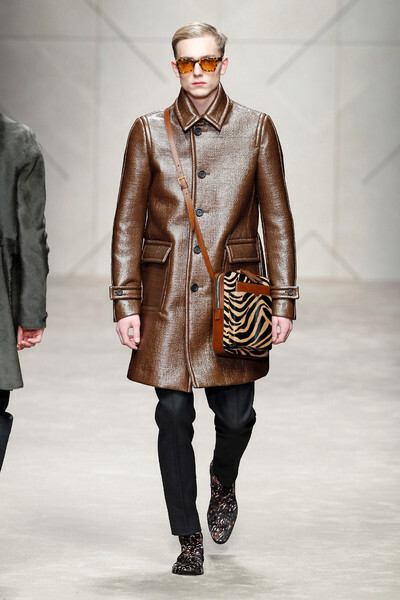 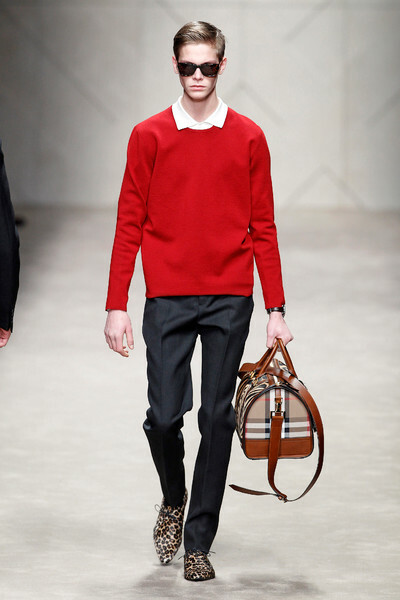 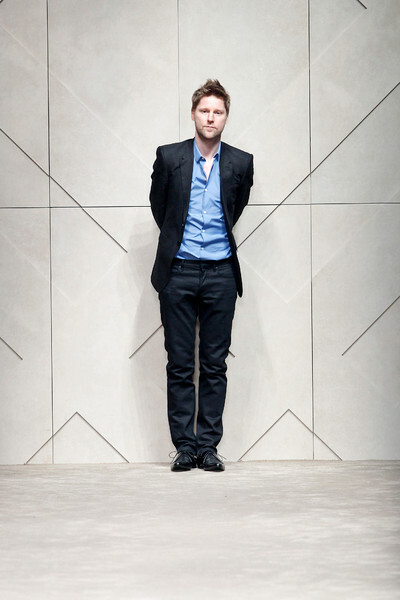 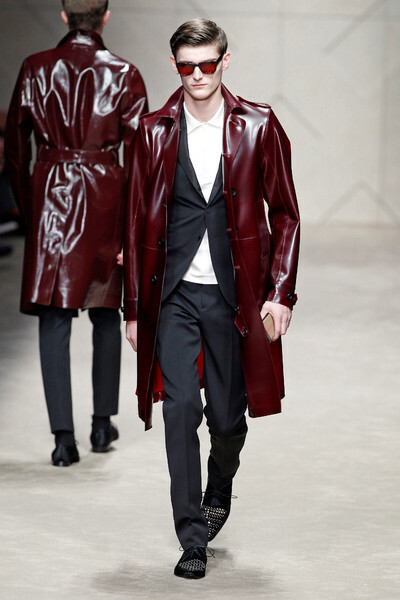 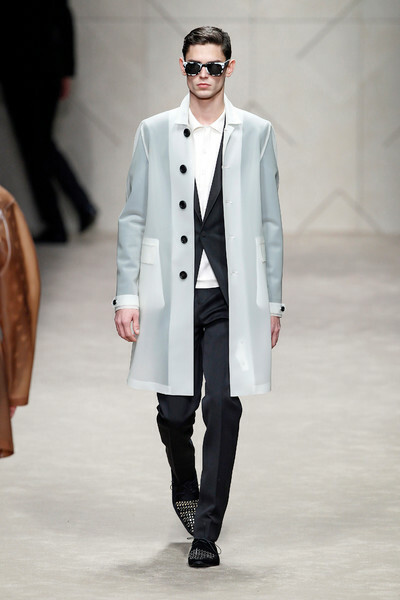 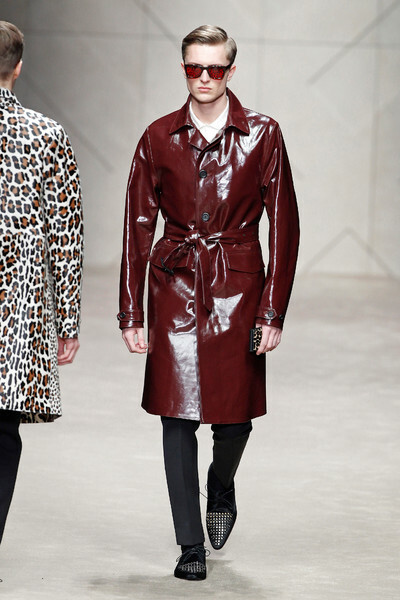 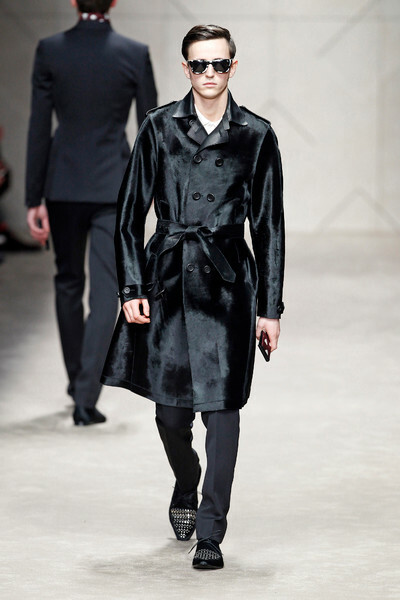 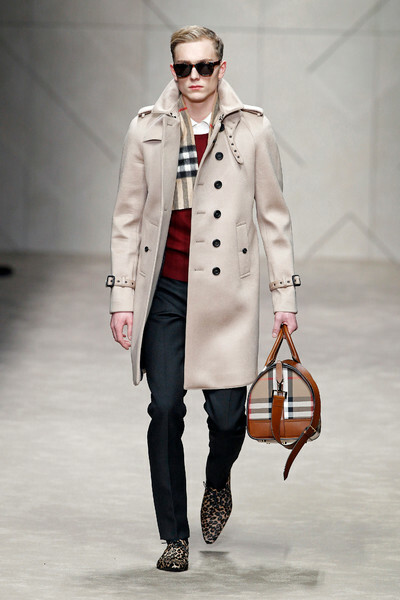 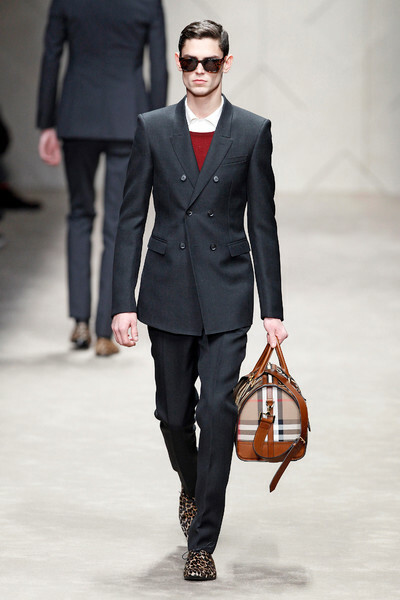 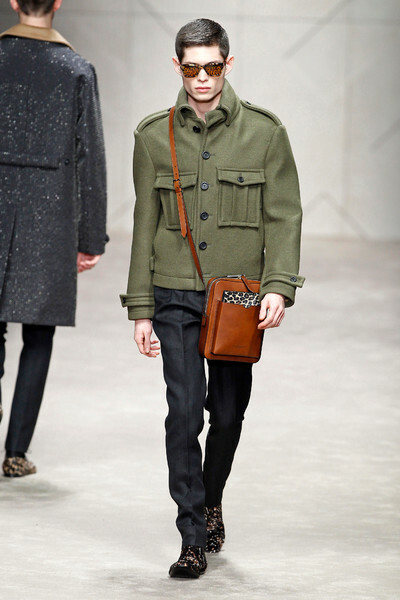 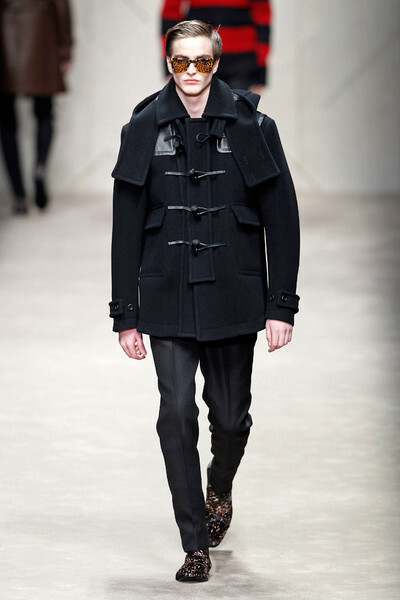 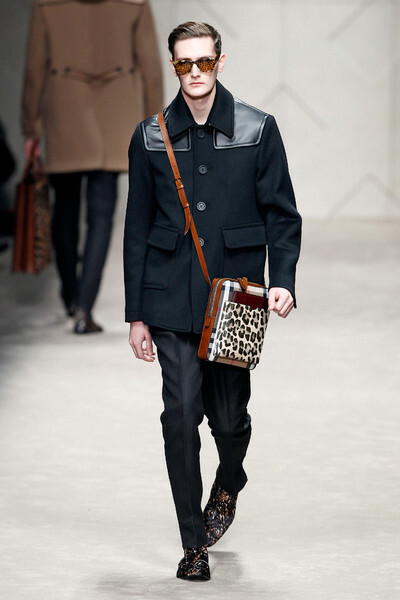 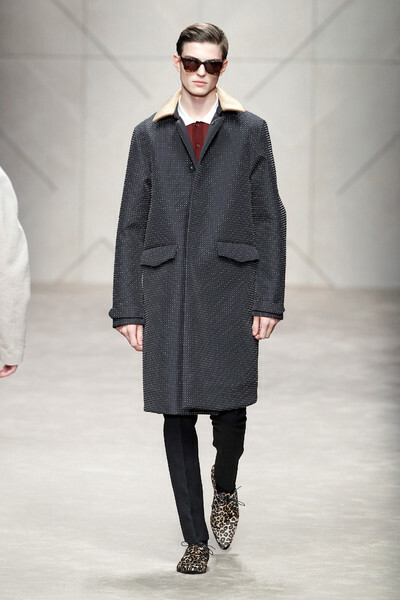 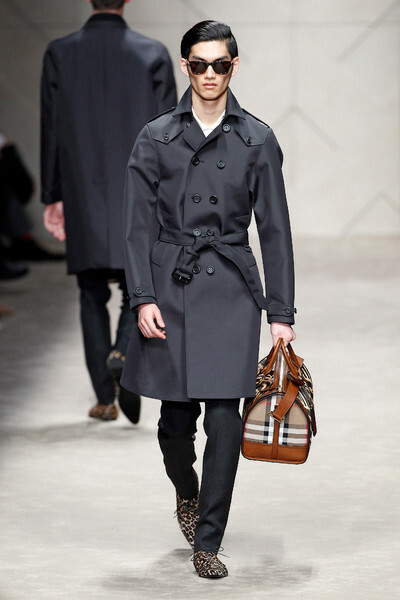 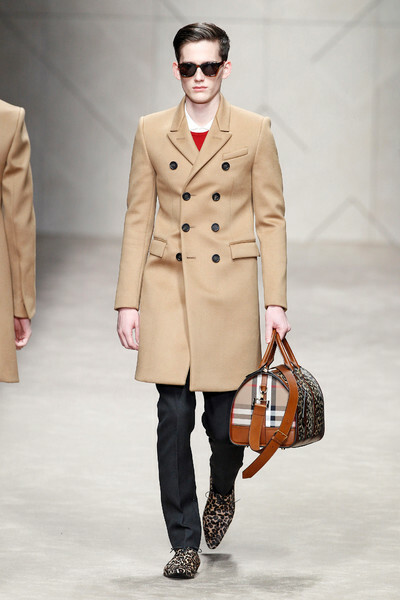 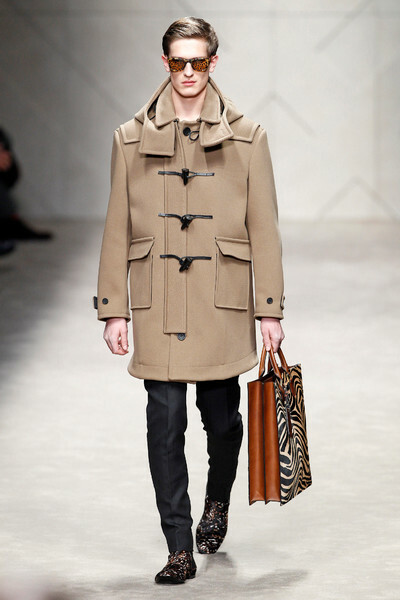 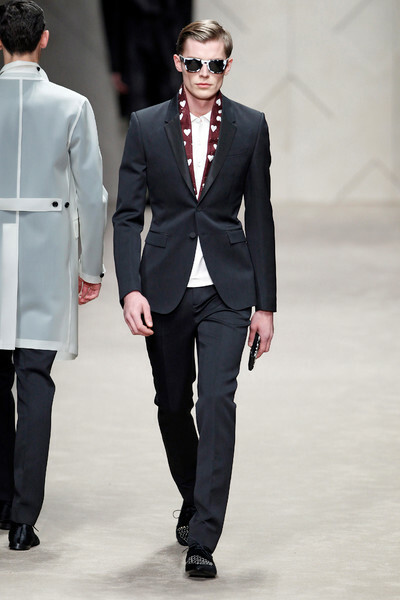 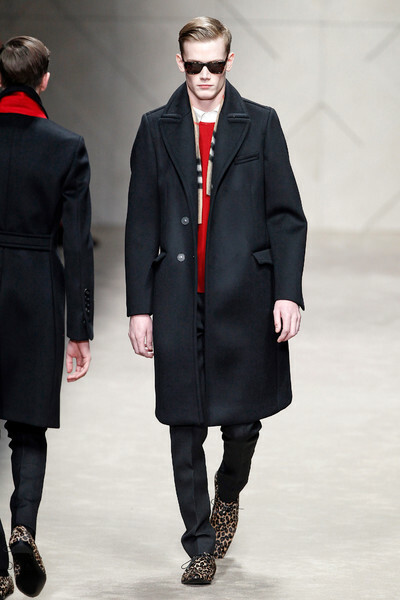 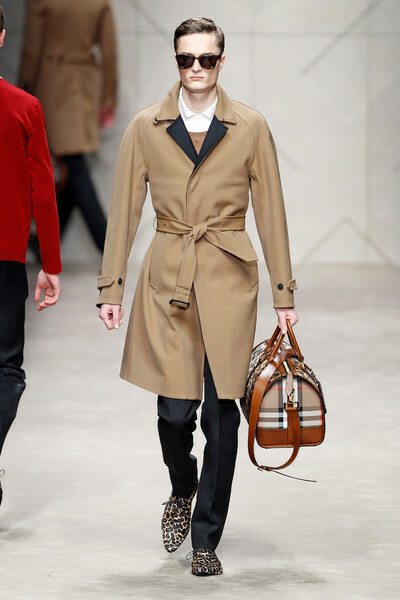 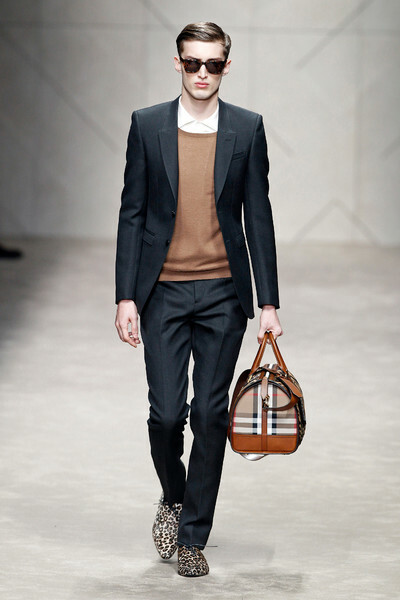 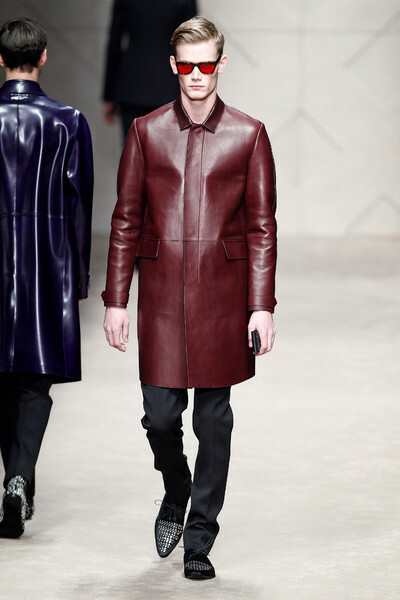 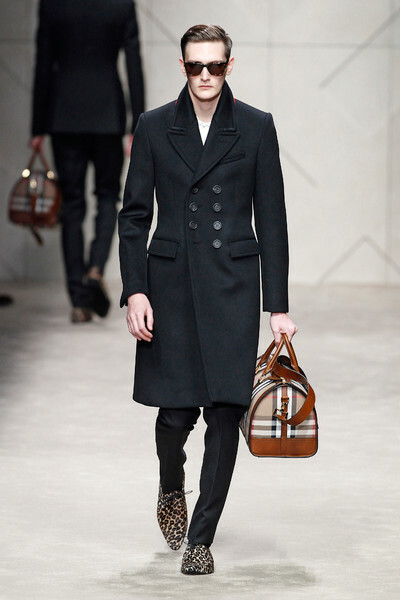 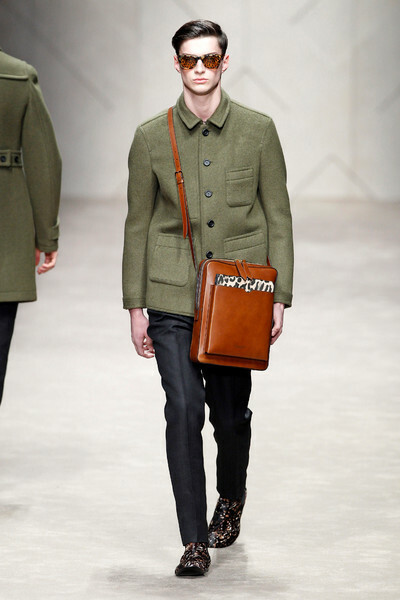 Apart from the leopard printed shoes Burberry’s first catwalk looks seemed very classic. 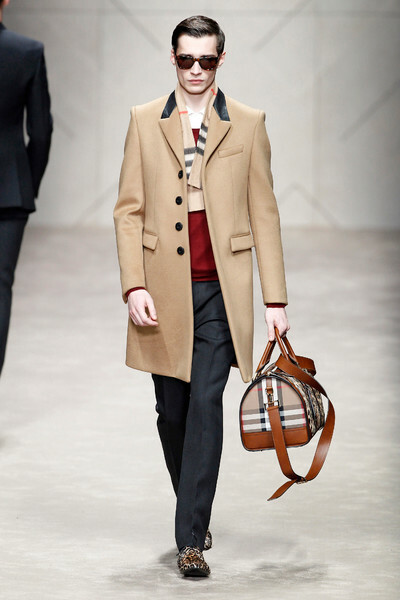 Jeans, crispy white shirt, cashmere sweater and a camel shaded trench coat; Burberry like you would describe it to someone who doesn’t know the British brand (if there are any). 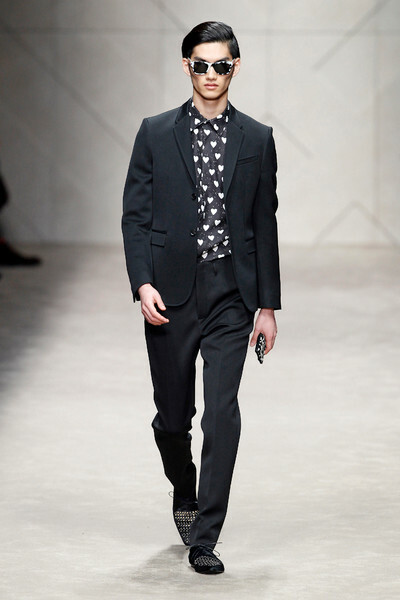 Perfectly shaved boys, with neat hairdo’s and sunglasses dressed their best for a first introduction to the parents in law or a perhaps a somewhat casual business encounter. 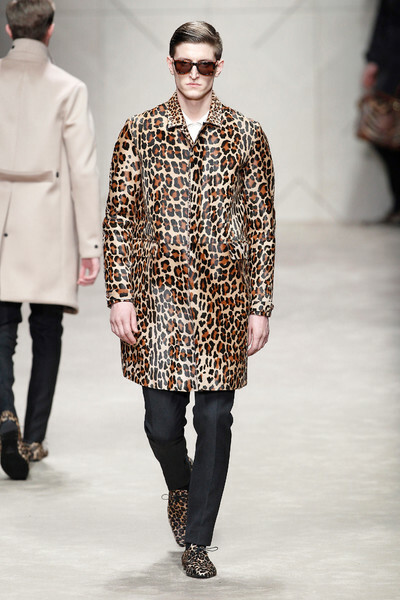 But when look #12 came on it was clear the leopard was a bigger theme for Christopher Bailey’s I Heart Classics collection. 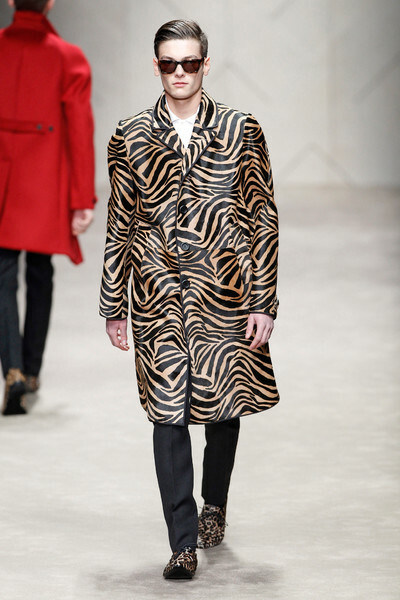 A zebra printed collar on one of the coats was followed by fully leopard and zebra printed patent leather jackets. 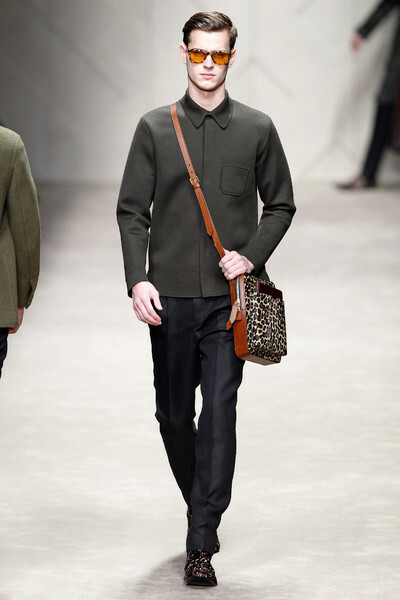 Bailey teamed up his wild side with some looks in army green and then went on the spread the love. 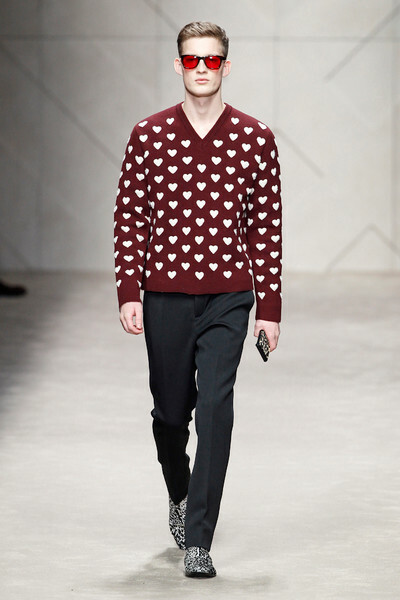 Literally by introducing a heart shaped print on several shirts, sweaters and one of the short scarves. 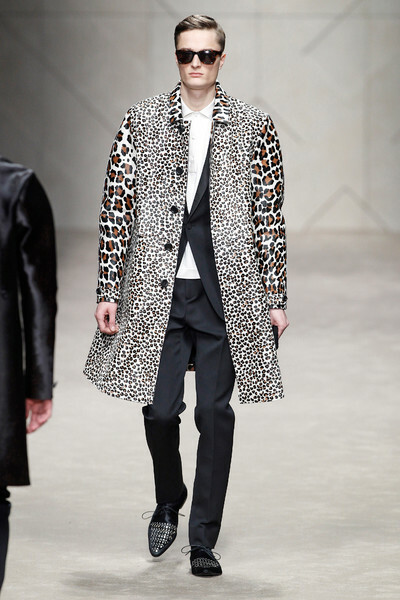 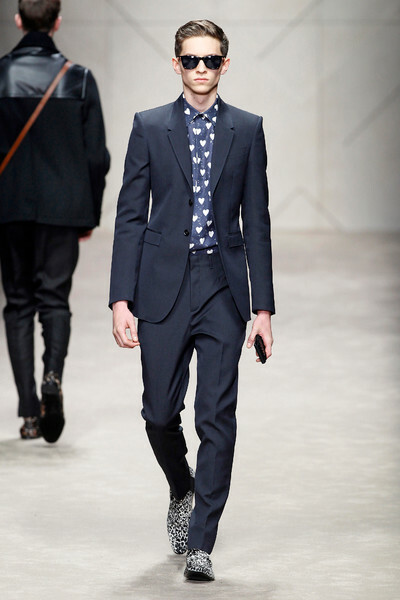 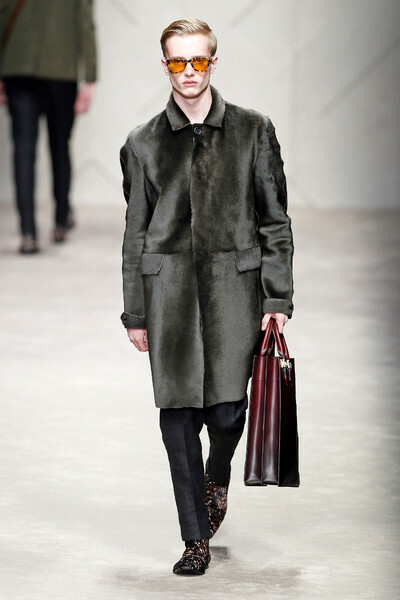 Animal prints and heart shapes; perhaps a lot to take in for a fifteen minute menswear show. 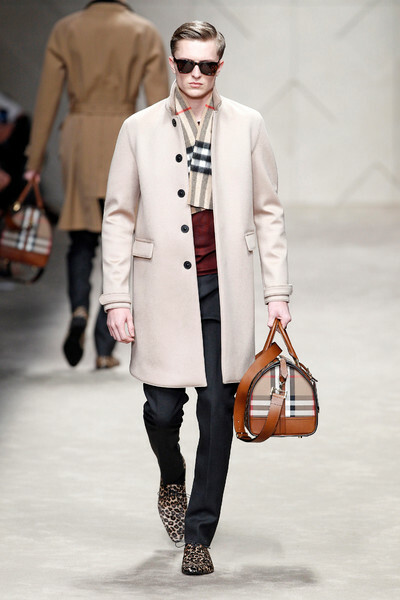 Luckily we have at least six more months to get used to it. 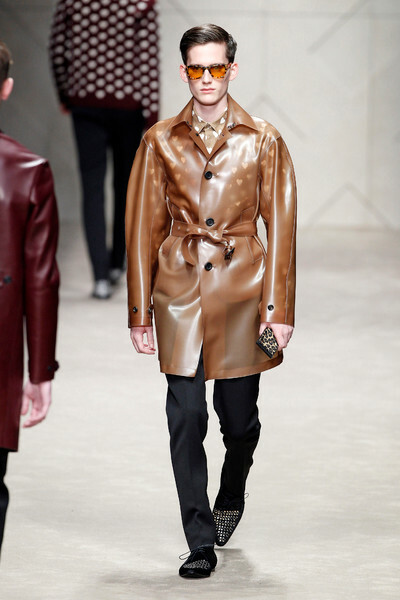 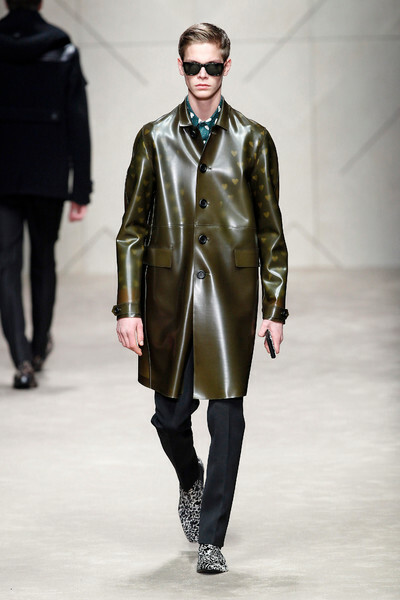 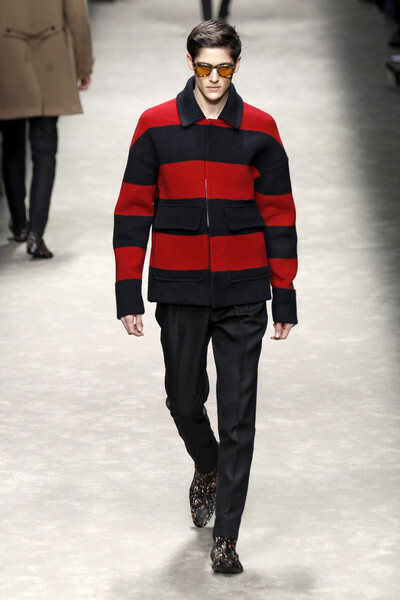 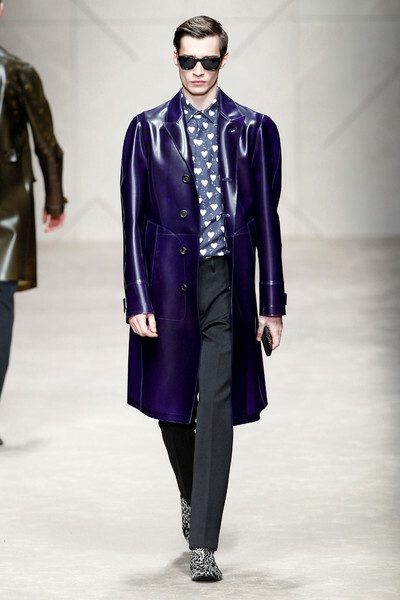 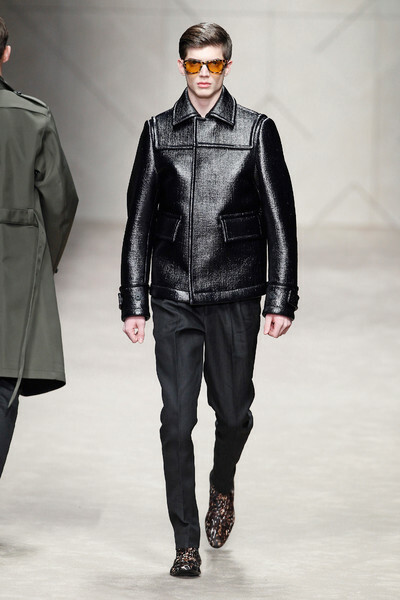 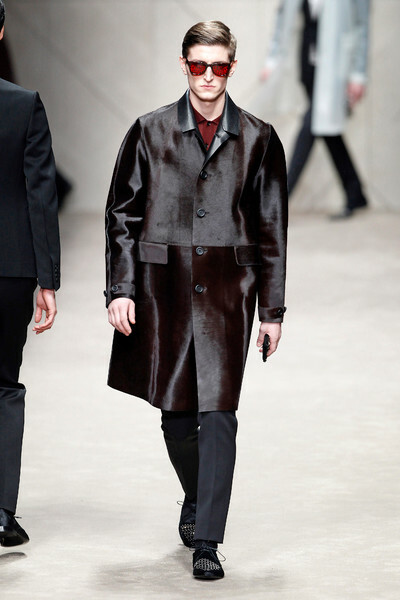 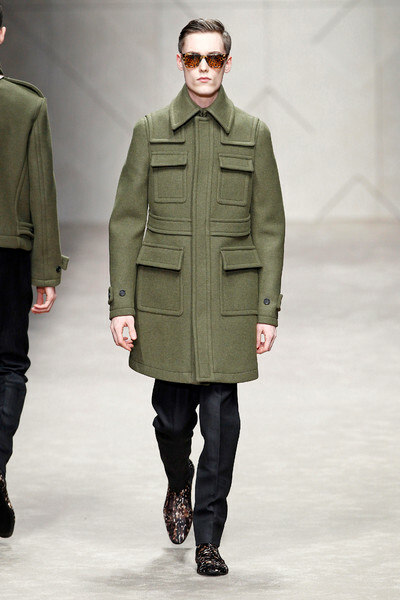 Plus, six more months to fully enjoy Burberry’s metallic designs, which Romeo Beckham is already wearing oh so well.